Harry Potter. It’s all over. Frowny faces abound. I won’t be writing a review about Deathly Hallows 2 – too much has been and will be said, plus I could never do it justice – but I will say that it was a great film, the sort of film that escapism is all about. If you don’t get lost in films and books like Harry Potter, well, why are you reading this blog? 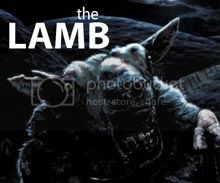 Daniel’s got The Woman in Black coming out in 2012. It’s a horror film set in Victorian (?) England about a young lawyer investigating a house for some reason (lawyers do that, yes?) who runs in to a ghost at said house. I’m pretty excited about this film, actually. Straight horror is an interesting choice for Radcliffe. Coming up in November she’s got My Week with Marilyn, a pic featuring Michelle Williams as Marilyn Monroe, and I also just found out through Arrow in the Head that, supposedly, none other than Guillermo del Toro is cooking up a new take on Beauty and the Beast for her. Should be interesting with del Toro involved in some capacity. A lot of folks might not know that the reason Emma recently cut her hair so short is that she was trying to nab the role of Lisbeth Salander in David Fincher’s version of The Girl with the Dragon Tattoo. Anyone who’s read the books or seen the original films should know how…interesting that would have been. The more recent Potter films were pretty dark, but, if done right, Fincher’s new film should make Deathly Hallows Part 2 look like, well, Harry Potter and the Sorcerer’s Stone. I heard that Fincher’s Lisbeth, Rooney Mara got…piercings…for the film. He was the only one of the three I was a little in the dark about. The last non-Potter movie I had heard about was Cherrybomb and it turns out that was released in 2009. It seems like I just recently heard about that film. However, IMDb showed me that Grint actually has quite a few films on the horizon. The only one listed in post production is a movie called Comrade, even though it’s listed as coming out in 2012, while two other films, Eddie the Eagle and Cross Country are supposedly coming out this year. Comrade, a film about stranded English and German forces who have to work together to survive, sounds interesting, sort of like Hell in the Pacific. 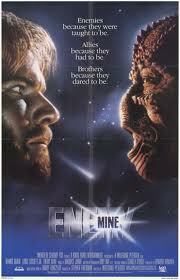 Or, if you’re a nerd, Enemy Mine. Two weeks from today, The EH Team will be doing a little escaping for real. Tuesday, August 2nd we’ll be down in Tampa to see Kings of Leon and Band of Horses. I think you can expect some fanfare and a few anticipatory posts from my fellow Hatchers in the days leading up to the concert. I honestly haven’t been to many concerts, unlike Tiff, Nick, and Pat, so I’m excited for this trip. Anybody been to a KOL concert? Happy feelings about it? Bought Insidious over the weekend. When we first tried to watch it, the (numerous) previews on the DVD played, but as soon as we hit play on the menu, the DVD player crashed. After too many minutes of trying to make it work, we resorted to prying it out. We hooked up another DVD player and the sound wouldn’t work. Finally, a third player came through in the clutch. Creepy though! It’s not the house that’s haunted…it’s your DVD player!